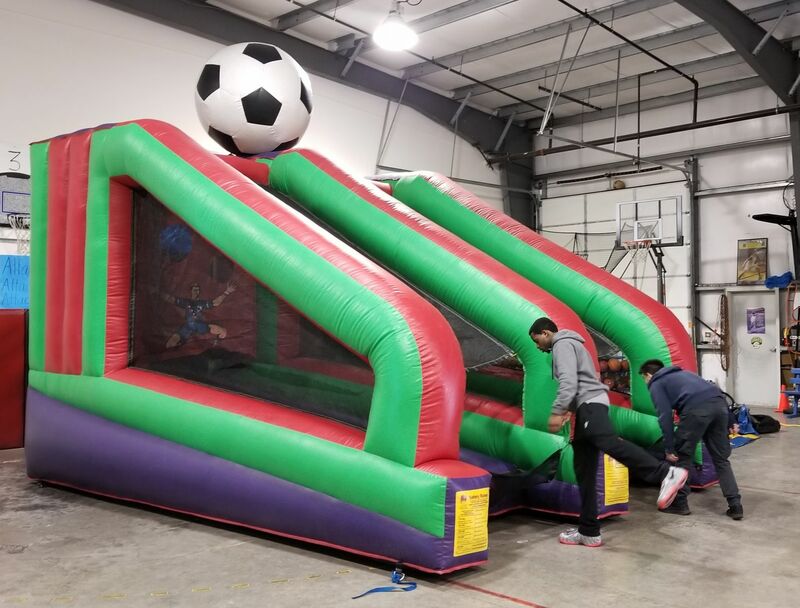 Is Soccer your favorite sport - then put your skills to the test with our Best Inflatable Soccer game rental. The goal is to kick your soccer ball past the goalie which causing the ball to come out on your opponent’s side of the game! You should consider adding a Water Slide to your event to cool down your competitors. 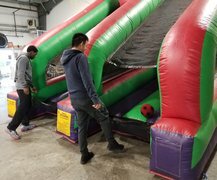 Test your soccer playing skills with the amazing Soccer Shootout inflatable game! Training for the US Soccer Team? Our soccer shootout allows you to practice right in your back yard and have fun at the same time! First player to get all of the soccer balls to their opponents side wins!